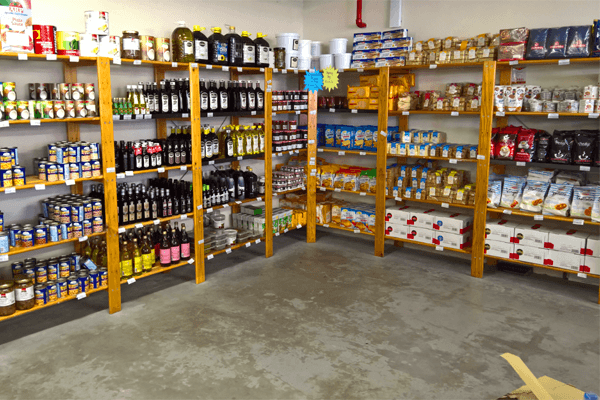 Mak-Rak has been in the shelving/racking business since the beginning of 1995. In its simplest form Mak-Rak is basically a DIY Timber Shelving System. 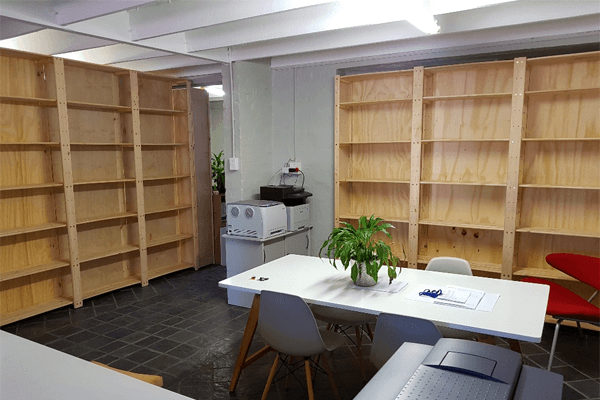 In early 1995, Marc & Arnold Klinkhamer came up with a simple, yet innovative, ECONOMICAL TIMBER shelving system which could be put together like a big MECCANO set and would suit the do-it-yourself enthusiast, the rest is history. Each shelf is 900 mm in length and comes in four widths, 300, 400, 500 & 600 millimetres. The uprights come in four sizes, 1120, 1770, 2030 and 2290 millimeters. They have holes drilled at 130 millimetre intervals, which allows you to locate the shelves at different levels to suit your particular application. Metal cross braces are required for each unit; one set for up to 3 bays and one set every second bay where there are more than 3 bays in the unit. 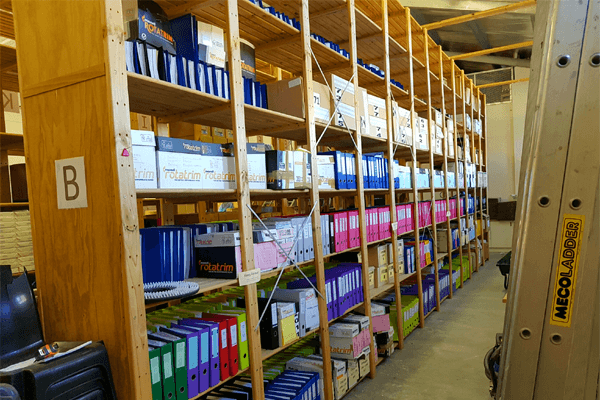 Special shelving is available for special applications. - There’s the Wine Shelf, designed to hold ten wine bottles. With the smallest unit, you can create a rack, which will hold 50 wine bottles. 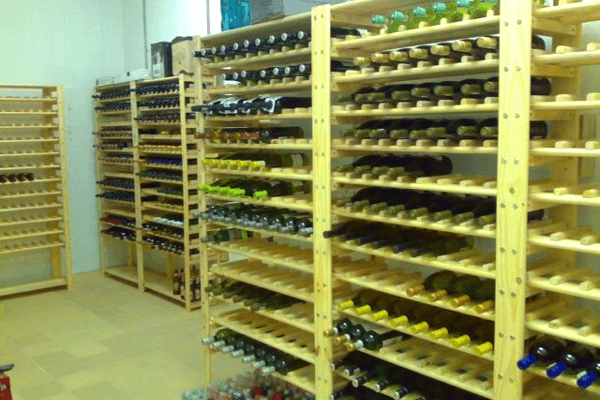 Larger wine racks can be created, either by using longer legs, or by extending the system horizontally. - There’s the Angled Shelf, which is tilted at an angle of approximately 18 degrees. It is ideal for display units, giving the customer a better view of your products. 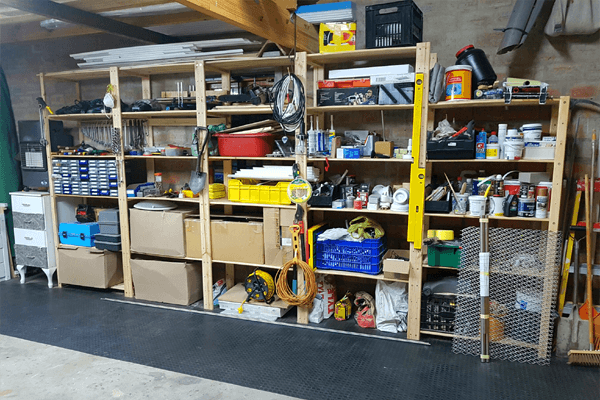 - Then there’s the Reducer Shelf which allows you to change the width of shelving in a particular unit from, say, 500 – 400 millimetres, or from 400 – 300 millimetres. - As storage units in factories, warehouses, offices, small businesses and schools. - As display units in shops, arts and craft stands and studios. - In the home as wall units, room dividers, in the garage, in childrens’ rooms and for the storage of wine. 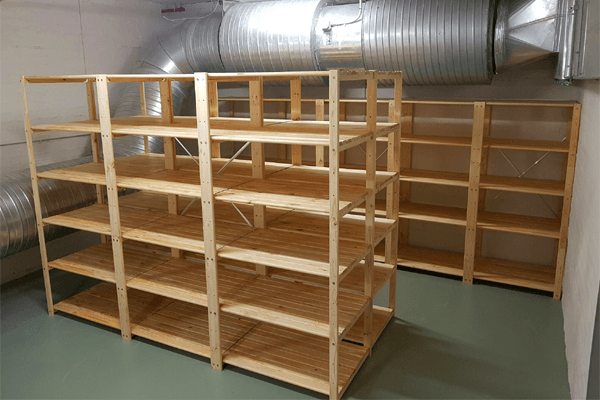 The MAK-RAK shelving system is considerably less expensive than the metal shelving equivalent but, at the same time, is not lacking in strength. The system is SIMPLE, EASY TO ASSEMBLE and USER-FRIENDLY. The components pack flat for easy transport and an installation can be extended as the need arises. Marc Klinkhamer, the director of MAK-RAK, believes in providing the best possible service to all his customers, which includes a design, and installation service to cater for your individual requirements. MAK RAK believes in providing the highest possible customer service. It has received praise and thanks from numerous satisfied customers both verbally and in writing for its service and reliability.